Dementia patients who are in need of particular “service layers” that include assistance with getting dressed have two closets: a big one, which contains all of the patient’s clothing, and a smaller, almost locker-sized one, which contains ONLY the clothes that are going to be worn that day. An aide comes in, selects clothing from the Big Closet, and transfers it into the Small Closet. The Big Closet is then locked. The idea is that patients will be less overwhelmed at having to face all of their clothing in the morning. The decision of what to wear is essentially made for them. I like it because I don’t even have Alzheimer’s and I often can’t deal with figuring out what to wear. It’s also appealing because the way I’m feeling right now, having one less decision to make is enormously appealing. Whenever Coombsie asks me what I want for dinner, I feel like crying. I don’t know what I want for dinner. Anything. Just don’t make me decide. Yesterday? I had a milkshake for lunch because I didn’t feel like chewing. 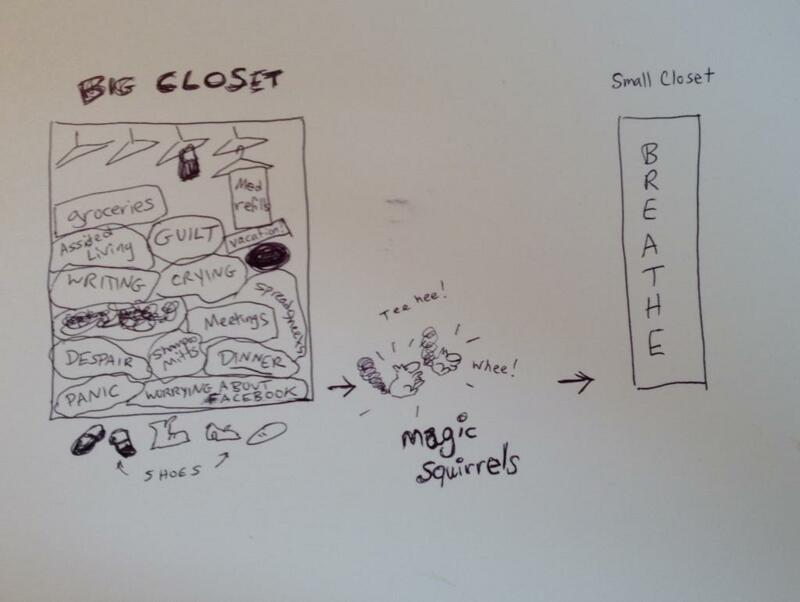 I think maybe my whole life for the time being has to be divided into two closets. 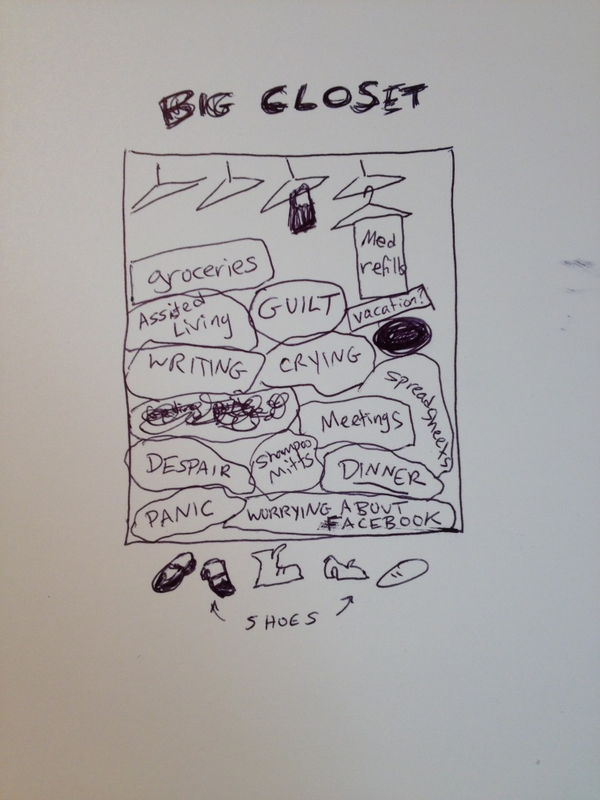 The Big Closet has ALL the problems and things to be ironed out. The Small Closet has just what I have to take care of today. The problem with this model is that I am presently completely incapable of deciding what goes into the Small Closet. That’s why I need magic squirrels.